My bompa (British term for grandfather), is no longer with us. In World War I he was Private First Class Sanford Dobson. Bompa was in the infantry division of the Canadian Expeditionary Forces, the forerunner of the Canadian Armed Forces. He died from his third heart attack when I was five. My grandfather married my grandmother December 27, 1922. 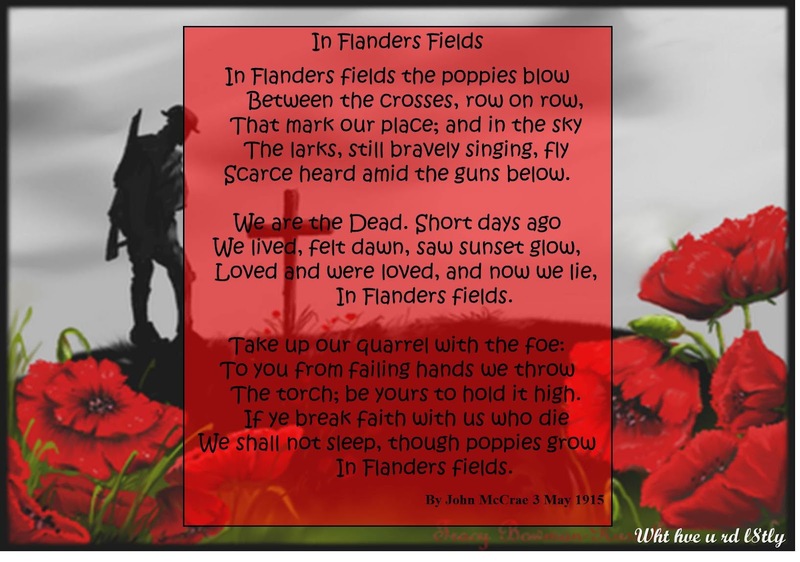 This poetry reflection based on the recollections of myself and my family seeks to honour his memory, and those who are willing to sacrifice their lives for their country. We miss you, bompa. “It’s a long way to tickle Mary.